Discussion in 'Military Multimedia' started by Vergennes, Nov 15, 2017. The VAB series was produced by Saviem and Renault and the main difference between the versions produced by these companies is the fact that the Renault version has hydrojets and Saviem version is without the hydrojet. In the mid-1960s, as a private venture, Berliet started the development of a 4 × 4 armoured personnel carrier, which would use automotive components from its wide range of tactical military vehicles then in production. The first prototype of this vehicle, called the BL-12, was completed in March 1968 and shown for the first time at the 1969 Satory Exhibition of Military Equipment. 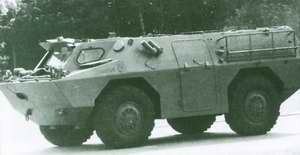 A second vehicle was built for the French Army, which did not place a production order for the BL-12. The French Gendarmerie placed an order for five slightly modified versions called the VXB-170 which were delivered from 1971. Following successful trials with these vehicles the French Gendarmerie placed an initial order for 50 vehicles for internal security use, the first of which were completed at Berliet's Bourge facility in 1973. The total Gendarmerie requirement was for about 400 vehicles but only 155 were ordered and delivered. The VXB-170s are called the VBRG-170 by the French Gendarmerie. They have been supplemented by the Renault Trucks Defense VAB. 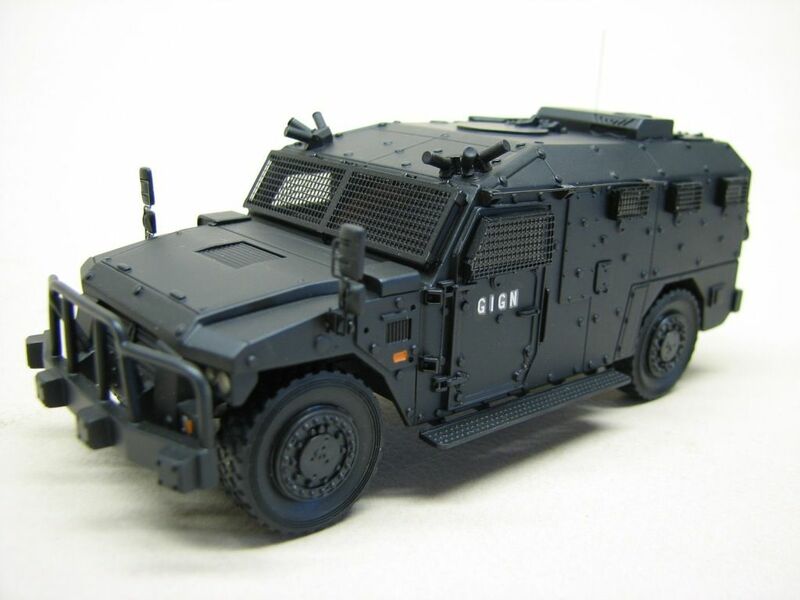 Large numbers of these vehicles remain in service with the French Gendarmerie. The Berliet company was taken over by Saviem, which in turn was taken over by Renault. The Berliet name no longer exists. 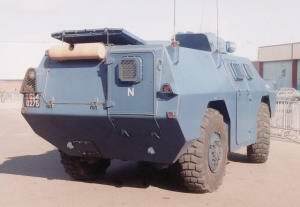 According to the United Nations, in 2004 Gabon took delivery, from France, of another batch of three VXB series vehicles. The VXB in service with France are due to be replaced by a new 4 × 4 APC. 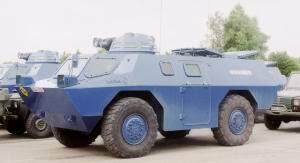 The hull of the VXB (4 × 4) APC is made of all-welded steel armour, which provides protection from small arms fire and shell splinters. The driver is seated at the front of the hull on the left side with the commander to his right. In front of the driver and commander is a large windscreen which, when in action, is covered by a two-piece armoured screen hinged at the top. To the left of the driver and right of the commander is a smaller window which, in action, is covered by a flap hinged at the bottom. Over the top of the driver's position are three day observation periscopes for use when the windscreen is covered and over the commander's position is a single-piece hatch cover that opens to the right with a swivel-mounted day periscope for all-round observation. The main armament, if fitted, is installed in the centre of the vehicle behind the driver and commander positions. There is an entry door in each side of the hull and a third door at the rear of the hull on the right side. In addition to the roof hatch, on which the main armament is installed, there are three other roof hatches: two in line with the doors in the sides of the hull, one of which opens forwards and the other to the rear, and a third in the aisle which connects the personnel compartment with the door in the rear of the hull. In the original model there were seven firing ports, two in the left side (one of which was in the door), four in the right side (one of which was in the door) and one in the door in the rear of the vehicle. Vehicles delivered to the French Gendarmerie have five bulletproof windows, two in each side of the hull (one of which is in the door) and one in the door in the rear of the vehicle. These can be opened to allow the troops to fire their weapons from inside the vehicle. The Gendarmerie vehicles also have a single-piece hatch cover over the driver's rather than the commander's position and there is no hatch cover over the aisle. The diesel power pack is at the rear of the hull on the left side and access panels are provided in the top and rear of the hull for maintenance. Power is transmitted from the engine to the manual gearbox and then by a propeller shaft to the two-speed transfer box in the centre of the vehicle under the floor. Power is then taken from the transfer box to the front and rear axles via propeller shafts. The front and rear wheels have planetary reduction gears and the rear axle has a pneumatically controlled interwheel differential lock. The suspension at each wheel station consists of a concentric helical spring and a hydraulic shock-absorber. The basic vehicle is fully amphibious, being propelled in the water by its wheels. 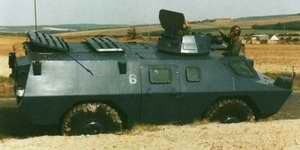 Optional equipment included a heater, a hydraulic obstacle-clearing blade at the front of the hull (as fitted to French Gendarmerie vehicles), passive night vision equipment, an NBC system, a winch with a capacity of 3,500 to 4,500 kg (and 60 m of cable) and bulletproof tyres. 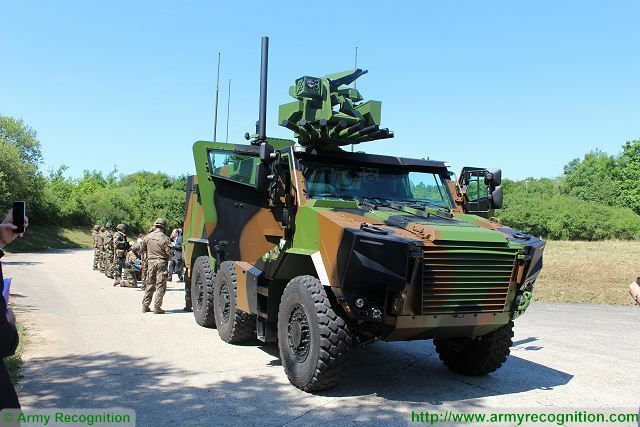 The vehicles delivered to the French Gendarmerie were originally fitted with a simple pintle-mounted machine gun but some were subsequently fitted with the TRW S365-3 (now designated the BTM 103) light turret which is armed with a 7.62 mm machine gun and a 40 mm grenade launcher. Elevation limits of the weapons are from -15 to +60°. GuardianRED and Gessler like this. The VBRG is nowadays used for riot control and maintaining order by the Gendarmerie mobile. Many vehicles are actually deployed in the French overseas territories. It was also deployed in Kosovo. 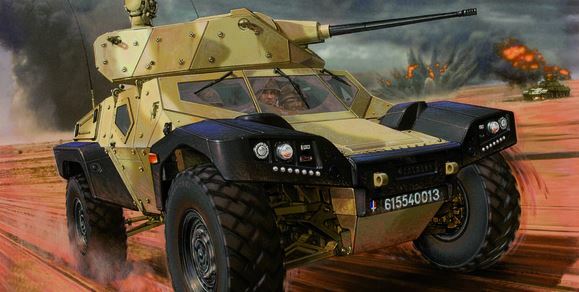 When operating overseas,the Gendarmerie could instead chose the VABs vehicles as they did in Afghanistan. Nilgiri, GuardianRED, PARIKRAMA and 4 others like this. Damn ... This is used for Riot Control? ... We need to buy us some of this! ... Those jokers will literally piss in their pants seeing this coming! But here is the replacement for army. Griffon. With CTA 40, 40mm encased ammunitions gun.